Description: Sleek contemporary lines are featured on this Urban flushmount handcrafted in the USA by highly skilled artisans. 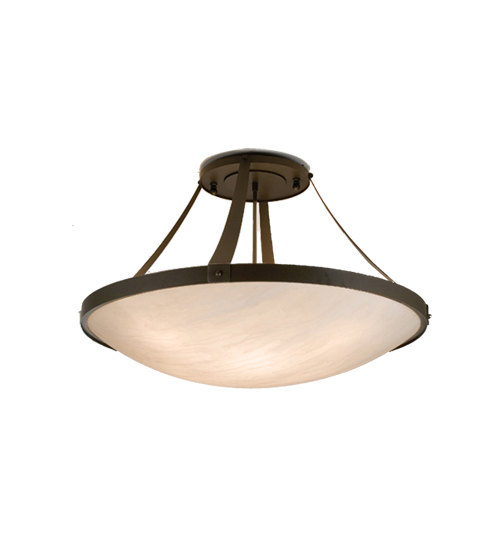 The ceiling fixture features a Whitestone Idalight diffuser that is complemented with hardware in a Timeless Bronze finish. Handmade by highly skilled artisans in the USA. Custom colors, styles, sizes and dimmable energy efficient lamping options such as LED are available. The fixture is UL and cUL listed for dry and damp locations.